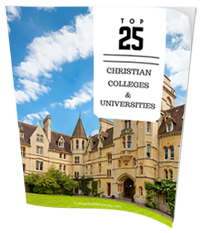 50 Christian Scholarships: You’ll find a detailed list put together by schools and (some) denominations—plus scholarships for folks who are more the non-denominational type. 45 of the Weirdest College Scholarships: Really? How about a Duck-Calling Scholarship? I know, right? How about a “Milk Mustache Scholarship?” It’s all there in black and white (or pixels for sure). CollegeExpress.com leaves no stone unturned in their search. Doing the Online thing? There are scholarships exclusively for cyber students (don’t miss the article about a heavy-metal drummer who got a scholarship). 3.4 Billion dollars in scholarships! Yep: that’s what they say. Search Fastweb for 1.5 million scholarships. Among so many opportunities, there has to be one for you! Read a blog, take a survey, or play an online game . . . and get a college scholarship. Well, sort of: ScholarshipPoints.com has a system of rewards in return for your engagement online. It’s little by little, but isn’t that how you save for college? Play the long game: Cappex helps high school students with a college search and then helps locate scholarships—even after you’ve started your undergrad experience. They also offer their own scholarships to folks who post reviews or provide feedback to their site. “You Find Money. Colleges Find You” That’s the tagline for the respected Scholarships.com website. They’ll help you keep track of deadlines and new scholarships as they become available. Stay connected with their useful newsletter. Going to Seminary? Here are 15+ scholarships you can track down exclusively for seminarians, plus tons of good advice for the entire process. Keep it Simple: The folks at NextStudent.com make simplicity their aim. You don’t have to be a Business Finance major to go to school. Create a profile and combine scholarship, loans, and consolidation information. Variety: we counted no fewer than 15 different categories of scholarships cover (we’re not joking) more than 1.5 million scholarship opportunities. The site layout looks more like a magazine, and it’s easy to navigate. Grants! Scholarships! Contests! 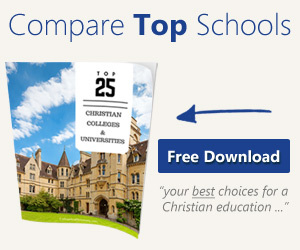 All together at one site, along with helpful articles related to the college application process. There’s even an “ask the experts” section. List mania: that’s the approach at Scholarship Monkey.com, where they’ve taken the time to provide scholarship by major, religion, region, ethnicity, gender, and more. Your Career Path is the organizational tool at this site. Your major helps define scholarships focused upon your discipline. It’s a neat approach. How’s your ACT Score? Or your SAT? PrepScholar.com gives you the down low on guaranteed scholarships available based on your scores. Don’t count yourself out before you actually check the list. Fast Free, and Easy: Salliemae.com updates their site every day. They’ll even notify you when something new pops up. Plus, it’s one of the few sites that says “welcome” with a nice video. MBA candidate? International Student? Find grants arranged by country, from Sweden to New Zealand. International commerce meets free college money. Get the Lion’s Share of Scholarships. Student’s Scholarships claims to be the largest collection of scholarships on the web. And at 2 million+ possibilities, we’re willing to take their word for it. Get smart about Scholarships—and the possibility of fraud in the scholarship world. The folks at Fin Aid consider angles we don’t normally address: scams, taxability, even cancer scholarships (which we hope you’ll never need). 70 results: ranked and rated. The nice people at College-Scholarships.com have not only assembled 70 sites for you, they’ve ranked them as well. Next to CollegeandSeminary.com we can’t think of a more valuable resource. Answer four questions, Click “Search” – There’s no faster way to get started than Peterson’s site. It’s well planned and draws you in (in the best way). Quick and easy. “It Pays to Think,” and College Net offers a weekly scholarship prize just to prove their point. This forum-based site offers scholarship rewards for participation at their site. Who knows? You might help some one else with your comments.